For many people, faith is a key component of who they are and the values that they hold. So, if you’re looking to make money anyway, why not focus on a company that relates to your faith as well? There isn’t a large number of these out there, but, there are some and they do have advantages. Each has their own angle. The products can also serve as a talking point for highlighting your own beliefs or simply for inspiring others. As always, I’m not affiliated with any of the companies on this list. Instead, the goal is to provide an objective comparison. That being said, I recommend caution with this topic. Being faith-based doesn’t necessarily make these companies better ways to earn money. It can be a fine line to walk if you are leveraging not only your personal relationships, but also your relationship with God in order to make money. Plus, faith and earning money don’t always combine well. Some potential customers may find the idea offensive or at least unappealing. You also limit your audience, as people outside of your faith may not be interested in the products. At the very least, make sure you consider the company in question and your audience before you get too heavily involved. I'm not religious at all, so it's not like any of this bothers me personally, but it's worth considering. I'm not a huge fan of MLM because of the high pressure business model, so if you'd like to sell products in a Christianity-related topic, you may want to consider Christian affiliate programs instead. Instead of selling to friends and family via “parties” or Facebook, you can create a website, write about topics related to faith, Christianity, family, love, etc, and reach a world-wide audience who are already interested in what you have to say, rather than trying to “make a sale”. 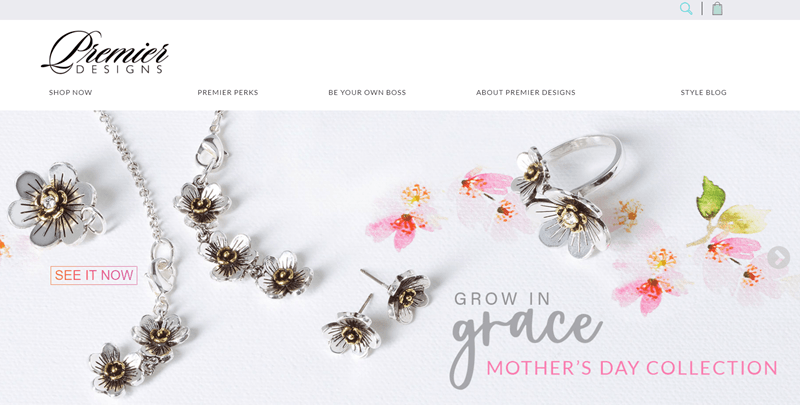 Product Overview: All of the jewelry from CB Jewelry (sometimes called Christian Bling or Christian Bling Jewelry) was inspired by faith in some way or another. Some of the pieces are what you’d expect, including many cross necklaces. But, with other pieces, the Christian connection is much less obvious. For example, a necklace called Never Failing has two metal colors, a subtle cross and a pendant. The end result is that many of the pieces look good and are elegant, more so than other faith-based pieces of jewelry. Many of the items are also unusual, which is great for making sales. One limitation is the price. Necklaces range from around $50 to more than $200. There are a few cheaper examples but not many and those are very simple. Other jewelry types have their own prices. In all cases, the prices are higher than you might expect and could be more than some people are willing to pay. Reviews suggest that the products are decent quality. But, there aren’t many reviews out there. It’s probably worth checking out the jewelry yourself first before you make a decision. Commission Quick View: CB Jewelry doesn’t provide many details about their compensation plan. But, consultants do earn between 20% and 29% commission on sales. This is on the low end of the industry but it is still a reasonable rate of commission (especially as the products tend to be expensive). Sales appear to be catalog-based, so there’s no need to purchase inventory first. There is also a replicated website that you can sell from, which costs $9.95 per month. The team aspect allows for a team of up to five generations deep. Members can earn between 1% to 3% on sales from each generation. No further details are provided. There are probably ongoing purchase or sales requirements to stay active and to earn from your team. Once again, CB Jewelry doesn’t provide this information. As such, there’s no way to know how good the company is as an income opportunity. One thing to mention – there aren’t many consultants listed on the company’s site. This could mean that competition is low, or that people don’t stick around. The first answer is great, while the second one really isn’t. Final Thoughts: The concept of CB Jewelry is appealing. But, I’m not convinced it could be an effective way to make money, especially when you consider how few details are provided. Product Overview: Compelling Creations isn’t entirely about faith and their marketing doesn’t focus on it. But, there is still a strong Christian component. Basically, the products are all about support and encouragement. Many of them are lockets or pendants that can be added onto chains. They tend to come on a card that offers information about what it represents and often includes a scripture. There is also a selection of crosses in various styles, along with a category of gifts for First Communion. Most of the pendants cost $30 or a little less. Other products vary in prices. For example, bracelets can be around $30 but some are upwards of $70, earrings are around the $30 mark, while the chains are typically less than $10. For the most part, the products are simple. But, they’re inexpensive enough that they’d be popular. They’re also designed as gifts. This could help promote sales and customers might buy pieces for their friends and family. Commission Quick View: Compelling Creations does have some income advantages. You can earn between 30% and 45% commission, which is higher than many other companies. The increase in commission rate is based on sales, not your rank, which gives you more control. You don’t have to hit certain targets each month either, which is great. This makes it a good company if you want to earn some money on the side, without having to constantly pressure friends and family members. There is also a $9.95 fee each month. This gives you access to a replicated website and the company’s back office. It seems to be essential even if you just want to make sales. The team aspect makes things much more complicated. Here, you need to make at least $300 in sales every month, more if you’re at a higher rank. That’s pretty rough, especially when you consider how inexpensive most of the products are. The team requirements start off simple enough but they get intense fast. In fact, Compelling Creations is more complicated than many of the others that I’ve seen, with bonuses that require very specific structures in your downline. If you can get far enough, you can earn up to 7% from the sales of the people you recruit, 5% from their recruits and 3% from the next level. There are also generational bonuses and the ability to earn 2% from your team as a whole. The income potential is certainly there. But, as always, getting through those ranks would be very difficult. Final Thoughts: I do like Compelling Creations for anyone who just wants to make sales. But, I’m concerned with how complicated the team side of things is. If nothing else, make sure you understand the compensation plan fully before getting involved. Product Overview: Premier Designs is a little different as the product line isn’t faith-based at all. Instead, the products are simply jewelry in a wide variety of styles. The general idea is that the pieces are ‘high fashion’ while still being affordable to the average consumer. The pieces are appealing and Premier Design has a large number of different items to choose from. There is also a small faith-based section, with various products that you might find appealing. The prices vary depending on the item but many pieces are somewhere around the $50 mark. This means they’d still be an investment for many customers but the prices are competitive. While most of the products aren’t obviously faith-based, the company itself is. Their basic foundations include honoring God and serving people. 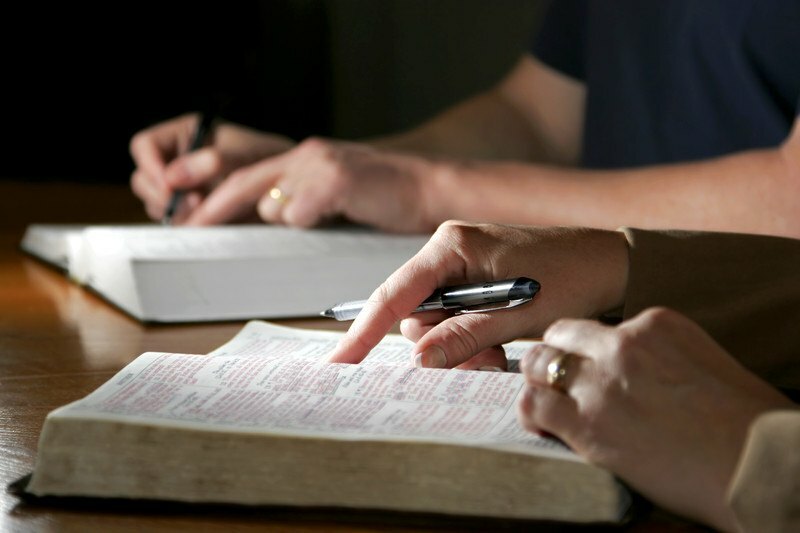 Biblical principles can also be found in various areas on their site and within their training. This could be a good balance for many situations. The products would appeal to a wider audience but there is still a faith-based aspect that you can focus on. This gives you more sales potential than some of the other companies in this field. The biggest product limitation is quality. There have been some complaints about this area. What’s more, Premier Designs has a poor return policy. They will replace items that had a manufacturing defect. But, if the product breaks faster than it should, customers are out of luck. Commission Quick View: Premier Designs is one of the better choices for commission. Distributors earn 50% commission on all sales, right from the beginning. They also earn 10% commission from the second, third and fourth levels in their team (for the first $1,000 of sales only). That’s as far as the plan seems to go and there don’t appear to be significant bonuses. As such, it is a much simpler compensation plan than normal and the rates are high. You do need to reach $300 in sales so that you can earn. But, that sales goal appears to be for a year, so it’s not something you need to hit every month. Even so, you should talk to a distributor about the requirements before you get involved. The information that Premier Designs provides tends to be long winded and the requirements aren’t always as obvious as they should be. Final Thoughts: Premier Designs has a decent commission rate and is better than most companies. Just watch out for any hidden requirements. Product Overview: Mary & Martha is a good choice if you want to showcase your faith. The products are mostly items for around the home, including products like bags, mugs, dishes and various pieces for your walls. Most of them use Bible verses or inspirational quotations in some manner. The pricing is hard to define. The products tend to be more expensive than regular alternatives. For example, an Acts 2:46 Tea Towel costs $22 – which is a lot for a tea towel. But, similar products from other locations aren’t that different in terms of price. The individual items are unique to the company. But, similar themes can be found elsewhere. For example, a Christian bookstore in your local area is likely to have some of the styles. You can also find a much wider range of similar products from sites like Etsy. Personally, I think the products would sell, as long as your customers were passionate about the style. The items are interesting enough and there are a handful of very unusual ones that could be a good focal point. Commission Quick View: Mary & Martha offers a relatively simple compensation plan, which is a nice change. You earn 25% commission on sales. If you can hit $1,200 sales per month, you get an extra 5%. This remains the same regardless of your progress in the company. There is also a 10% bonus on commission for team leaders. But, the requirements for accessing this aren’t entirely clear. The team component uses a rank-based unilevel plan. This means people are placed in your downline based on who recruited who. You earn from three generations total and there are six ranks to progress through. As always, new ranks increase your ability to earn from your team. You can earn percentages from each of the three generations, along with a bonus from your team as a whole. The rank progression is particularly interesting. For all but the first rank, you need $800 in personal sales per month and $3,000 in team sales per month. To progress up the ranks, you need to get your team members promoted. I love the simplicity of the plan – and it seems like you could earn from sales without any significant ongoing requirements. Even so, the volume requirements to earn from your team are high. Could you make $800 in sales every single month? Final Thoughts: If you just wanted to sell the products, Mary & Martha is a decent company to go with. But, I don’t recommend the team side of things unless you’re very confident in your audience and your ability to make sales. Product Overview: Red Rock Traditions is mostly focused on family time and traditions that you build within your family. But, many of the traditions and products have a strong faith component. Some of the products can even be great ways to talk about faith and keep it strong within your family. They even have an entire section on faith. This includes products like a Candlelight Prayers Candle Holder, Grace and Forgiveness Vessel and a Love Token Locket. The product selection is pretty cool really. Most of the items are unusual and the styles are different than you’d see elsewhere. Many of them aren’t really about traditions. Still, the theme is a good way to tie everything together and would help with marketing. In terms of price and quality, the products are about what I’d expect. They’re not the cheapest options out there, not by any means. They’re probably not amazing quality either. But, they’re reasonable enough that people would buy them and the items would probably last, especially the ones that are just designed to sit around. Commission Quick View: Red Rock Traditions is relatively new in the MLM field and they don’t offer many details about their compensation plan. The main information provided is that they operate through a party-based model and that you can earn up to 30% commission on sales. Both of those aspects make Red Rock Traditions pretty typical. There are some fast start bonuses too – but that’s all the information available. If I had to guess, I’d say Red Rock Traditions has a starting commission of around 20% to 25% and uses a unilevel compensation plan with various ranks. The company probably has sales requirements to maintain those ranks too. That’s the most common pattern for MLMs, especially in this field. But, those are just guesses. To find out specifics, you’d need to talk to a distributor or contact the company directly. Final Thoughts: If you like the products, Red Rock Traditions seems to be decent enough. Just make sure you find out all of the details first, as some companies have unrealistic requirements. None of the companies on this list are particularly exciting. Many of them seem to be poor quality or simply aren’t competitive in the industry. But, if you had to choose one, I recommend Mary & Martha. This is a well-established company and they provide all of the details about their compensation plan up front. The products on offer are also appealing and the right audience would be interested in purchasing them. Even so, Mary & Martha is best for people who want to earn from sales only. The ongoing requirements for building a team are unrealistic. If you are interested in a team, I recommend looking at an MLM that isn’t faith-based, such as in the jewelry field. Hi! I wanted to let you know that CB Jewelry is not a direct marketing company. Formerly it was before new owners took over. We are an online company and we have Ambassadors that represent the line. I would really love if you would clear this up in an article. So can an ambassador sign up other ambassadors and do they get paid for the sales of the ambassadors they bring in?